The dining table is the place where the family meets at the end of the day and share stories of school, college and office. Nilkamal Gem Gypsy 4 Seater Dining Set is that absolutely quintessential piece of furniture without which your home is incomplete. Made of rubberwood, the product is extremely lightweight and easy to maneuver in situations like renovations or home shifting. To give it the extra jazz, the top has been varnished with a layer of MDF. While its simple design makes it a favorite among the lovers of minimalism, the look and the quirky shade of cappuccino makes the dining table ideal contemporary furniture. 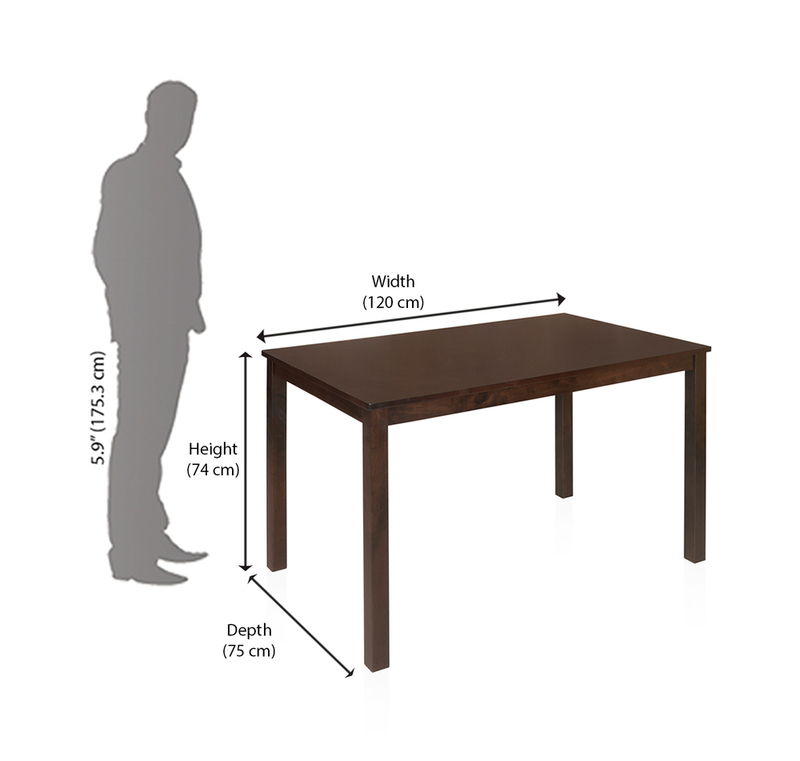 The Nilkamal Gem Dining table fits in any nook and corner of an apartment with its 75 x 120 x 74 dimensions and has a seating capacity of 4 – no wonder it is so well-accepted among the modern and nuclear families. Modern furnishing believes in ‘less is more.’ Families prefer clutter-free, neat looking home environment over the overbearing vintage style. And this Nilkamal Gem 4 seater dining table goes perfectly with that concept. Allow this classic piece of furniture from @Home to grace your dining hall and be witness to your every day happy meals.